The brackets are bonded directly to the teeth using a special adhesive designed for teeth. An arch wire is placed into the brackets and held on by color or clear ties. The arch wire is what actually moves the teeth while the braces are just the handles. In the beginning of treatment, we use very light and flexible wires so that the patient is more comfortable and has less tenderness during initial movement of the teeth. These wires have memory of a perfect arch. The wire gets distorted while being placed into a bracket of a crooked tooth, the wire then responds by moving back to that perfect arch, moving the teeth with it. Once all the teeth are leveled and aligned, then stiffer wires are used that Dr. Angle can bend to get each tooth into the proper position. Dr. Angle uses specialized wires and smaller brackets that minimize a patient’s discomfort and decreases the treatment time. There still will be some discomfort during the first few days following the placement of the braces and after each adjustment visit. Please use the wax we provided you to help any sore spots and take any mild pain medication for relief if needed. Can my child return to school on the day they get their braces placed? Yes! There is no need to miss school for any of your orthodontic appointments. The average treatment length is 18-24 months. This is dependent on the patient severity, compliance with treatment, and keeping up with all scheduled appointments. 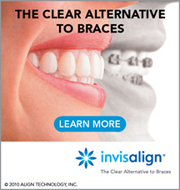 After the initial appointment of placing the braces, patients are seen every 4 to 8 weeks for an adjustment appointment. However, each patient’s needs are individual and are scheduled accordingly. Braces can be worn while you play sports, however, you must wear a mouth guard to protect the braces, your teeth, and your lips. We will provide you with the proper mouth guard needed to play sports. In fact, if you get hit in the mouth, often the braces will help keep your teeth in your mouth. If you are in retention phase and are wearing retainers full time, you should remove the retainers during sports and wear a traditional mouth guard that is formed to the teeth. Once you remove your mouth guard after sports, insert your retainers. Retainers are a very important part of your orthodontic treatment. You will need to wear your retainers full time for the first 6 months following the removal of your braces. After 6 months of full time, Dr. Angle will usually recommend night time wear; however, each patient is unique and is treated accordingly. If you want your teeth to look exactly like the day your braces were removed, you must always wear your retainers. It is a lifetime commitment of night time wear because your teeth are always moving throughout your life whether you had braces or not, and to keep them in proper alignment, you must make sure your retainers fit properly. An Orthodontist is a highly trained dental specialist who has not only graduated as a dentist but has returned to University on a full time basis for post-graduate training in orthodontics. Dr. Angle trained at the Mayo Clinic for three years where she earned her masters degree in orthodontics. She graduated first in her class and learned a wide range of techniques including the latest modern orthodontic techniques. Orthodontists limit their practice exclusively to orthodontics and dentofacial orthopedics so they are able to provide optimal care for your orthodontic problems. What age should my child first see an Orthodontist? You should have your child first see Dr. Angle around age seven so that she can examine your child’s jaw growth and occlusion. The six year permanent molars have erupted by then which establishes the anterior-posterior and transverse relationships of the occlusion. The occlusion is examined for any crossbites, abnormal shifting of the lower jaw during function, and proper jaw alignment. The incisors have started to erupt so problems such as crowding, overbites, openbites, adverse habits, asymmetries, and underbites can be detected. Does every child need early orthodontic treatment? No. There are a few indications for early treatment but most orthodontic treatment can wait until almost all the permanent teeth are erupted for the comprehensive orthodontic treatment. What is the length of treatment for early treatment (Phase I)? Early treatment is limited treatment that usually takes between 6 months to a year to complete depending on the severity of the patient’s occlusion. No. However, there may be an initial period of adjustment. In addition, brace covers or wax can be placed to prevent discomfort. Yes! You should continue to see your general dentist at least every six months for cleanings and dental checkups.